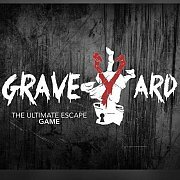 If you think being grounded in your room felt like the end of your world, imagine how being trapped in 'graveyard's escape room will feel like. Graveyard is the latest escape room concept in Lebanon. Where five horrifying rooms come to life.